Does One Alcoholic Drink Impact Your Sports Performance? 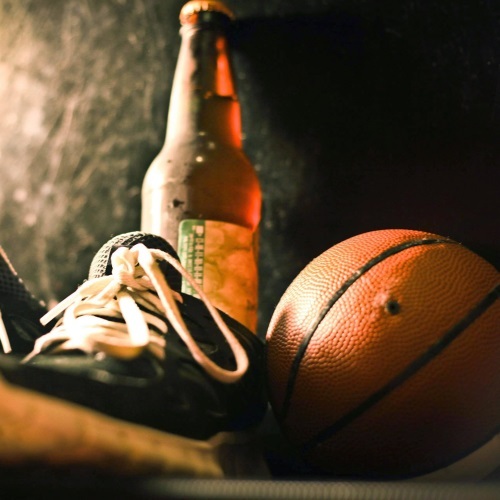 In some ways, sports and alcohol seem irrevocably intertwined. From the overflowing beers served at football games to the congratulatory drink shared between marathon contestants, the celebration of a game well played easily pairs with alcohol culture. Alcohol affects your central nervous system, motor skills, impairs your coordination and reaction time, and can even affect your balance. If you have consumed enough alcohol to feel ‘tipsy’, your reaction, coordination, and balance are definitely impaired. However, even small amounts of alcohol can lead to impairment that can be the difference between winning or losing a tight race or game. In fact, the results of alcohol consumption not only impairs your performance but increases the risk of injury. Additionally, dehydration can impact performance. Staying hydrated helps regulate your body temperature, but alcohol – a diuretic – makes it much more likely you might overheat. Drinking alcohol the night before an exercise session, race, or game can also affect your performance. Your body doesn’t store alcohol like it can nutrients and energy from food so from the moment you take a sip, your body starts working hard to metabolize it. Because your body is working to remove the toxins in alcohol, it will struggle to control the lactic acid your muscles produce during physical activity. This means that the next morning, you might feel sluggish, lack strength or stamina, and feel tired more quickly. If you drink enough to feel hungover the next morning, it is probably no surprise that your performance will be impacted. The symptoms of a hangover, including headache, dizziness, dehydration, and hypersensitivity to light or sound making performing at your best virtually impossible. Research has also shown that exercising with a hangover can decrease your aerobic capacity by 11%. Alcohol can have other surprising impacts as well. Beyond the immediacy of a workout, alcohol can also negatively affect sleep and recovery from injury. Drinking alcohol often goes hand-in-hand with staying out late, reducing the duration of sleep. To make matters worse, while alcohol might help someone to fall asleep, it has been shown to disrupt restorative sleep cycles that help the body repair muscles and renew itself. Recovery from an injury can also be negatively impacted. Drinking alcohol can increase swelling and bleeding, which can disrupt the healing of soft tissue injuries. Overall, the effects of alcohol can vary widely from person to person. If you are interested in bringing your best self to the court or the field, you might want to think twice about that glass of wine or beer. Not only does cutting down on alcohol improve your sleep, reduce your empty caloric intake, but it will also improve your performance, balance, coordination, and recovery time.